Each Walking Dead TV Series 4 Dixon Brothers Case includes four 2-Packs. 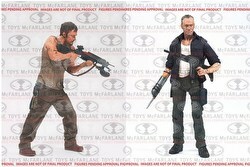 Each 2-Pack includes a Daryl Dixon figure and a Merle Dixon figure. Daryl Dixon features 20 points of articulation and includes a crossbow, hunting knife, fire axe, pick axe, and prison keys. 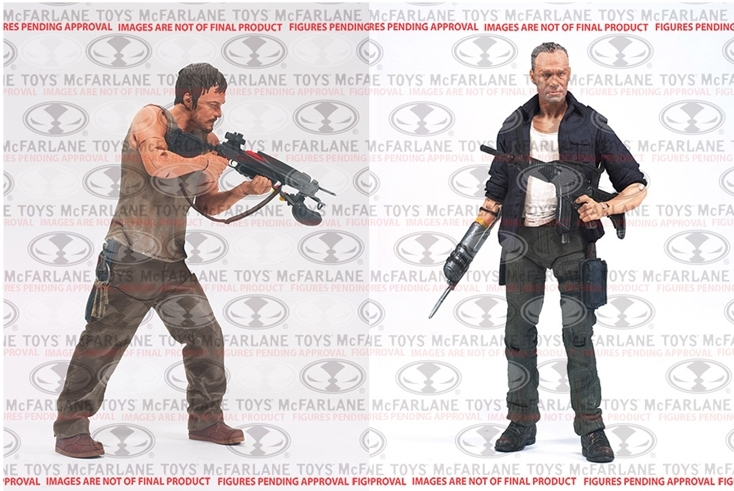 Merle is re-armed and ready for action with 20 points of articulation, prosthetic arm with bayonet, assault rifle, pistol, and knife. Each figure is produced using a 3D scan of the actors themselves, featuring the exact likeness of the characters from the show.